The reduction in deaths from diseases that can be headed off with vaccines has been described as one of our country’s 10 greatest public health achievements. That achievement depends on interventions that begin right after birth: By age 2, the Advisory Committee on Immunization Practices recommends, children should complete a series of seven vaccines to protect them from 14 diseases. The majority of parents are duly vaccinating their children, according to the Centers for Disease Control. National coverage hovers around 90 percent for the vaccines that prevent poliovirus, hepatitis B, and measles, mumps, and rubella, for example. Yet according to the most up-to-date analysis of vaccine compliance in children, published this month in the journal Vaccine, few children get all those vaccines on time. Two-thirds of those newborn to 24 months received one or more vaccine doses outside of its recommended window, and 43 percent of children were “severely under-vaccinated,” meaning the time a child had not yet received one or more doses of a vaccine totaled seven or more months. Kurosky and colleagues crunched data from 11,710 children around the country gathered by the CDC in the 2012 National Immunization Survey. Compiling information from the children’s doctors on when vaccines were administered, compared to the recommended schedule, they discovered that only 23 percent of the children received all doses of seven recommended vaccines on time. 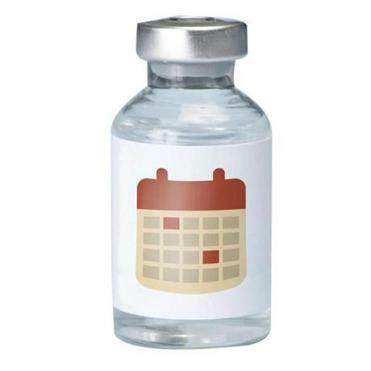 For most of the vaccines, the delays occurred between the ages of 8 and 18 months, though many caught up to the recommended doses by 24 months. “This conclusion highlights that fact that it is possible for a child to be fully vaccine-compliant at 24 months, yet also be unduly susceptible to vaccine-preventable illness during the first two years of life,” says Maia Majumder, a research fellow at HealthMap and infectious disease doctoral student at Massachusetts Institute of Technology, who was not involved in the research. In an accompanying geographic analysis, Western states had the lowest rates of vaccine completion and compliance. The most undervaccinated state was Alaska, where only 55 percent of children completed all recommended doses by age 2. Parents and health care providers need to continue to work together to make sure children are vaccinated on time, says Kurosky, to assure they are protected from preventable diseases as early as possible.